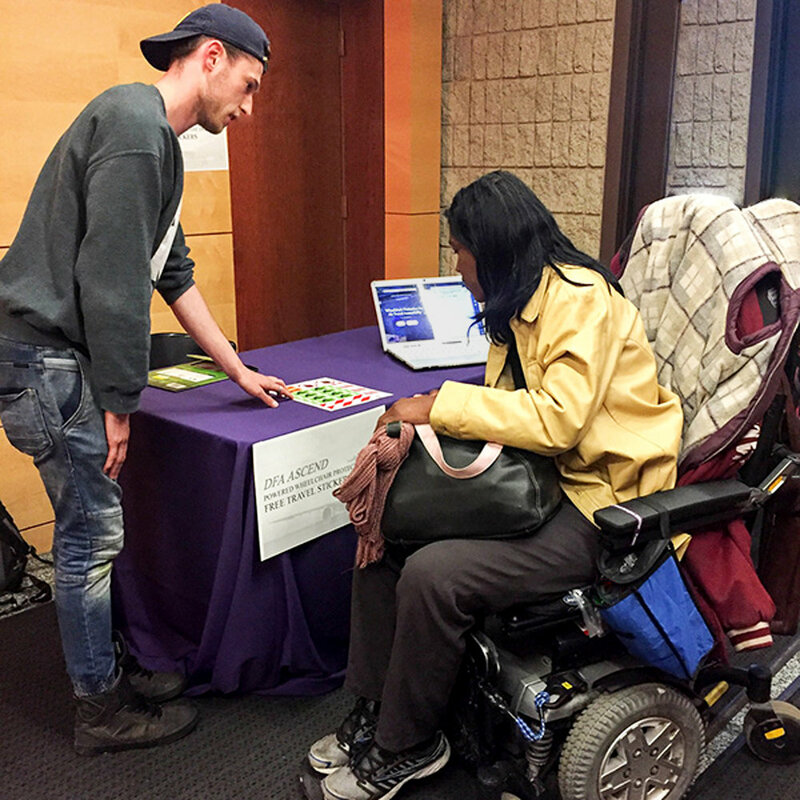 Our team of Northwestern Undergraduates came together last summer to partner with Open Doors Organization, in Chicago, to make air travel more accessible. 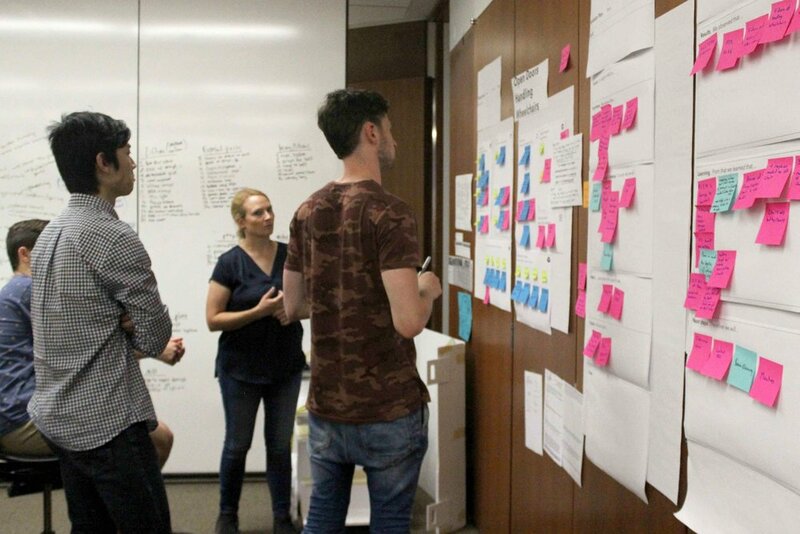 Take a look at our journey through research, prototyping and testing as we immersed ourselves in the problem and ideated solutions. Our first challenge was to identify the true problem and figure out the root causes. We used preliminary interviews with people that have traveled with their power wheelchairs to gain high-level understanding of their experience and the challenges they face. Simultaneously, we conducted online research, learning regulations specified by the ACAA and ADA. We read blogs from people traveling with power wheelchairs. We collected reports and statements from airlines. We interviewed accessibility companies. And we identified our key problem. As Eric Lipp of Open Doors Organization explains, damaging a wheelchair is not the same as damaging luggage on a flight. The chair is not merely a possession; it is key for independence, health, and mobility. Travel for work or vacation can be ruined by the loss of mobility and wheelchair replacement/repair can take months. 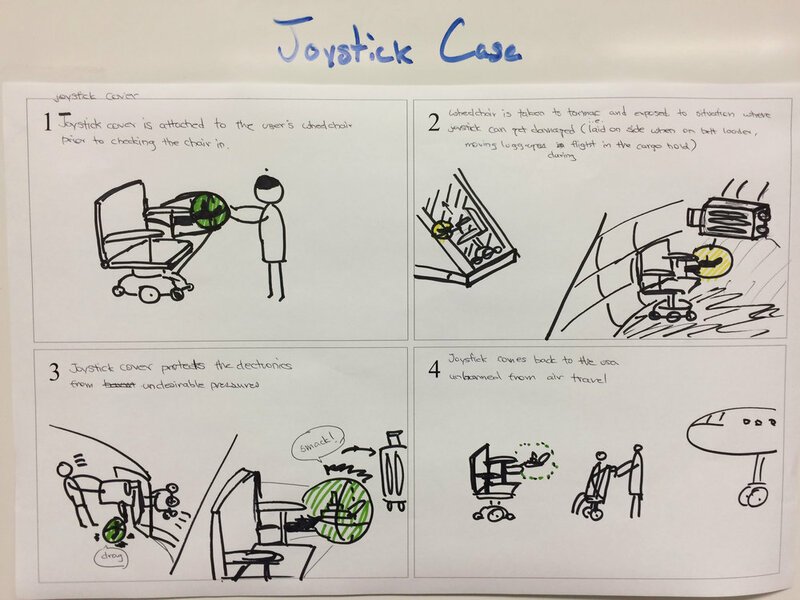 This creates an environment where people using power wheelchairs are not accommodated and feel as though they can't travel via plane out of fear of something happening. We decided this was unacceptable and set out to try and fix the issue. On the tarmac, baggage handlers are not given the proper tools and training to handle these devices. As one ground handler explained, "every time we get one of these [power wheelchairs], we are risking personal injury, damage to the chair, and damage to the plane." This video, created by wheelchairtravel.org, shows some of the many techniques ground handlers have to employ (to varying levels of success) in order to load power wheelchairs into a plane. From our interviews and observations, we have found that ground handlers do care about the protection of these devices and understand their importance. Ground handlers work very hard to try to safely load the chairs but they are faced with time pressure and inadequate information and equipment to safely and easily load these heavy and complicated pieces of equipment. Airlines have a stake in this issue too. Airlines have been paying for repairs and mistreatment fines for years and currently spend millions of dollars on wheelchair repairs each year. This pales in comparison to the damage to reputation and the absence of potential customers who would be traveling if they felt more accommodated by commercial airlines. Our mission is to make air travel more accessible for people traveling in power wheelchairs by reducing the damage to power wheelchairs during the flying process. We generated ideas throughout the design process getting user input at all stages. Our early designs were crude and quick allowing us to better understand the intricacies of our problem and uncover new information about our users. Later prototypes assessed our assumptions, understanding of the user’s needs, and the constraints we were working within. We first brainstormed about 50 initial ideas. From there, we categorized and narrowed down to a handful of unique designs to build low-fidelity mockups of. We then tested these mockups and learned about the needs and priorities of the ground handlers and the travelers. Our intention was to quickly learn why these early ideas would not work and try to collect any aspects of the designs that showed potential. Then we mapped the root cause our solutions would address onto an Opportunity vs. Feasibility chart to select options for our next round of testing. While a number of opportunities could have a huge impact, some were not feasible. We selected nine ideas to further hone and get feedback on. Throughout this process we were conducting interviews, visiting experts, and continuing to research and learn. 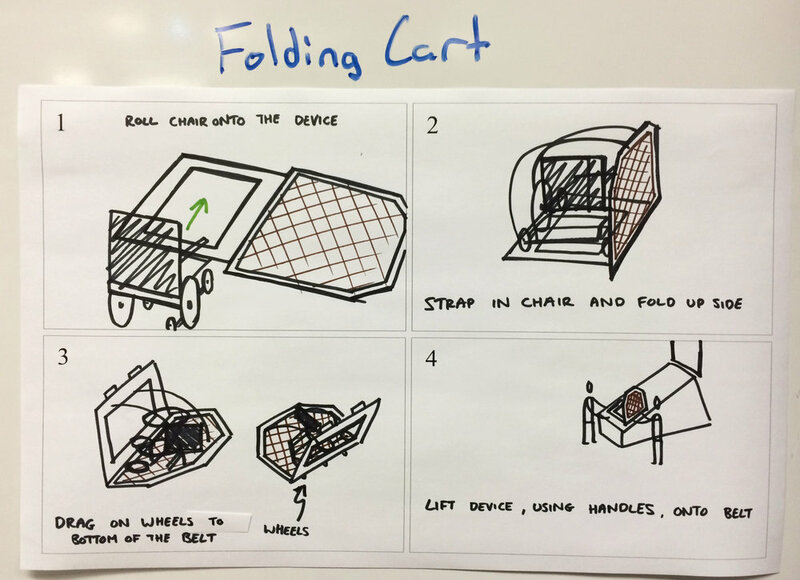 We used prototyping as a tool for learning and did not become too invested in any one design. We sent the graphics to the right along with several questions to our partner organizations, users, and ground handlers. 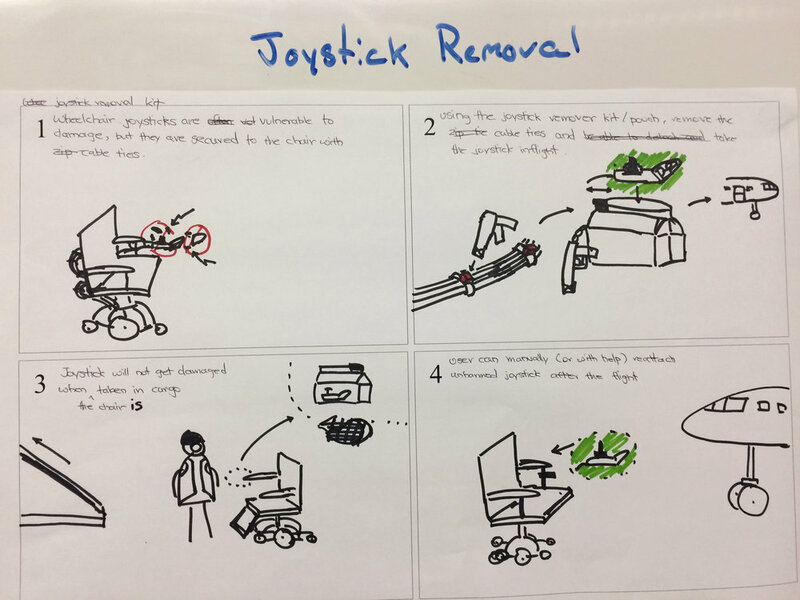 From the 20 responses, we synthesized the feedback and narrowed down our project to two ideas: one method of communication and one method of mechanical protection. We then sent out a second survey to iterate our design of a sticker set, our method of bridging the communication gap between ground handlers and wheelchair users. We have currently put the redesign of our mechanical, protective solution on pause as we feel like we can learn more about this issue by launching our sticker set. After getting further user feedback this summer we have redesigned the stickers to be more visible. They are now larger and fluorescent. Check out the new AIR-ccessibility Stickers. Our users were most keen to see the "Lift Here" stickers come out so we made them first and plan to create more function-specific stickers for wheelchair air travel in the near future. We are always on the lookout for people to share our work with, collaborate, or test our products. If you think you, or someone you know, could help us solve this issue, please reach out to us.